Our components are made to last. Expect fast delivery - we have over 500 components in stock. Count on our experts to find the perfect fit and solution. This primary belt cleaner is designed or standard duty applications. This belt cleaner is designed for practical and easy installation and it works well with abrasive materials. Operation is at best with new, even belt, but it works also with worn belt surface. Most common wear material for HB110 primary belt cleaner is wear resistant polyurethane. In abrasive materials is recommended to use polyurethane blade filled with aluminum oxide granules. 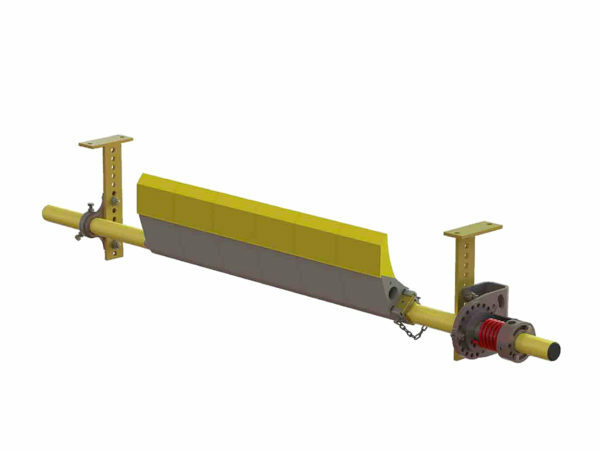 Tensioning is done by vertical spring and tensioning arm. This primary belt cleaner is designed for standard duty applications. This belt cleaner is designed for practical and easy installation and it works well with abrasive materials. Operation is at best with new, even belt, but it works also with worn belt surface. Most common wear material for HB120 primary belt cleaner is wear resistant polyurethane. In abrasive materials is recommended to use polyurethane blade filled with aluminum oxide granules. The blade is made up of two different parts. When the wear part is worn out, it is easy to fit a new one. 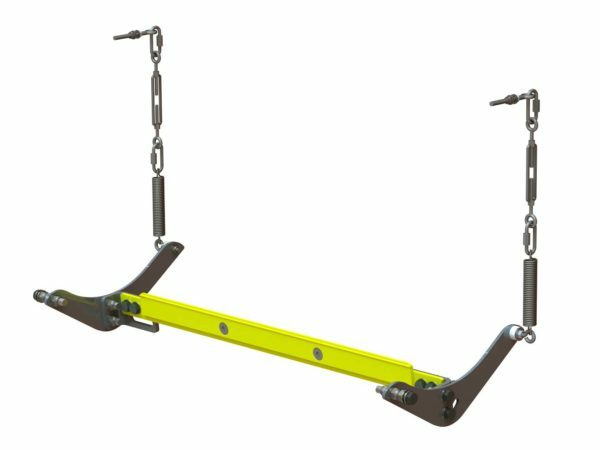 Tensioning is done by automatically adjustable torsion spring tensioner. This primary belt cleaner is designed for standard duty applications. 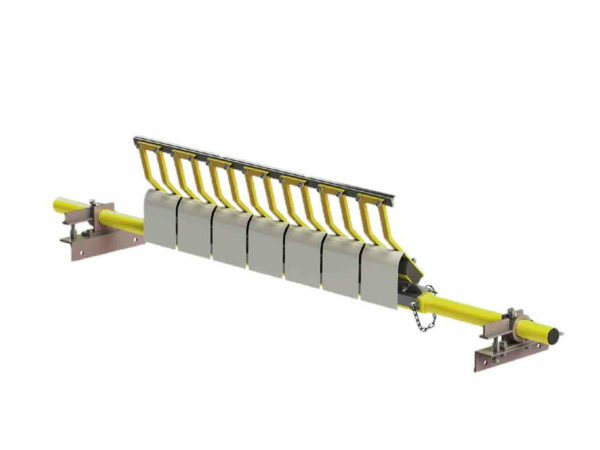 This belt cleaner is designed to be installed at the head pulley to remove the bulk of carryback adhering to the belt after the natural trajectory of the conveyor has released the product. This belt cleaner is designed for practical and easy installation and it works well with abrasive material. Blade material of tungsten carbide guarantees good wear resistance. Simple torque system and low blade pressure, which saves the belt. Replaceable blade cassette makes easy to maintain that belt cleaner. Operation is at best with new even belt surface. This primary belt cleaner is designed for heavy duty applications. 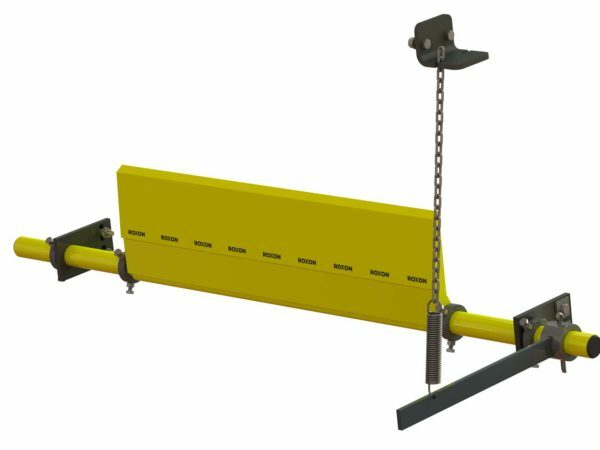 The belt cleaner is designed to be installed at the head pulley to remove the bulk of carryback adhering to the belt after the natural trajectory of the conveyor has released the product. This belt cleaner is designed for practical and easy installation and it works well with abrasive material. Operation is at best with the new, smooth belt surface. Blade material of tungsten carbide guarantees good wear resistance. Simple torque system together with rubber cushion ensures easy way to find the right blade pressure. Low blade pressure saves the belt. Replaceable blade cassette makes easy to maintain that belt cleaner. This multiblade primary belt cleaner is designed for heavy duty applications. This belt cleaner is equipped with wear resistant polyurethane blades. This primary cleaner is designed for practical and easy installation. In most applications polyurethane blades are easy to replace, saving down time and manpower. The tension is applied by a compression rubber designed to give positive adjustment after initial installation. This primary cleaner is available with a range of pulley sizes. 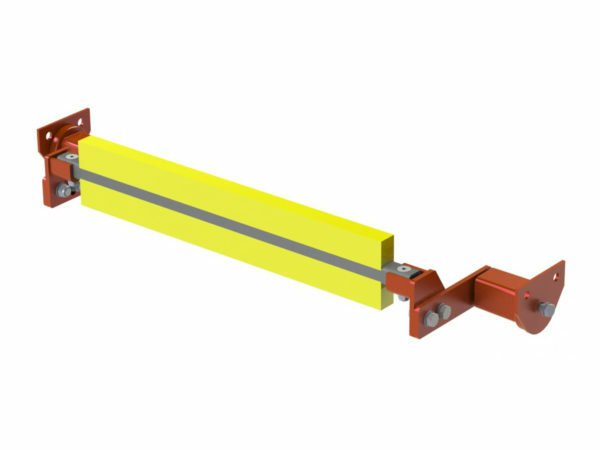 This belt cleaner is mainly for light duty construction conveyors. 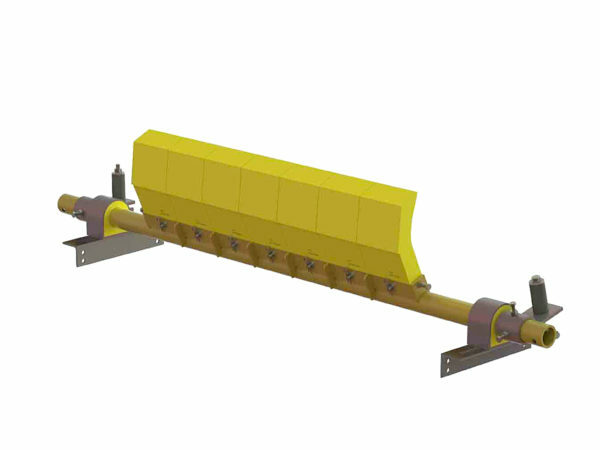 This belt cleaner is available for belt widths 500-1200mm. 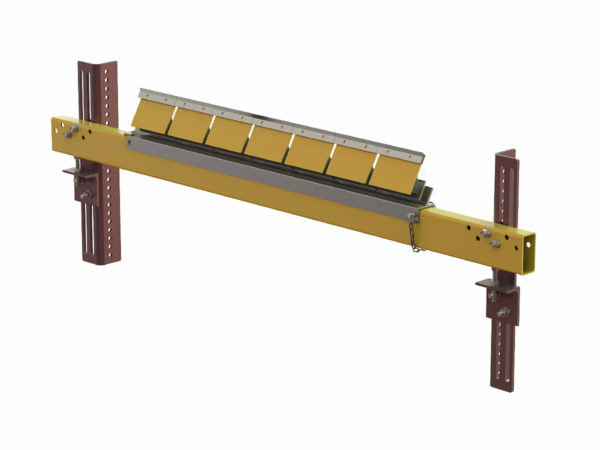 This belt cleaner is mainly for light and medium duty construction conveyors. 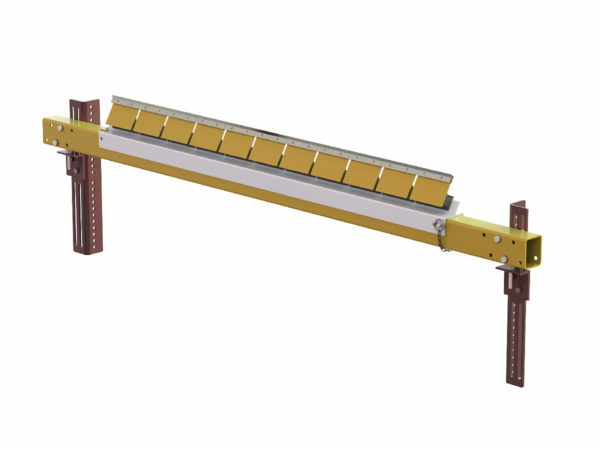 This belt cleaner is available for belt widths 500-1200mm. Secondary belt cleaner for medium duty applications. This belt cleaner is designed for practical and easy installation. Flexible blade arms ensure a good contact with the blade to the belt. Belt cleaner is available with three blade options, stainless steel, tungsten carbide tip and vitrified ceramic. Most common blade material is tungsten carbide. 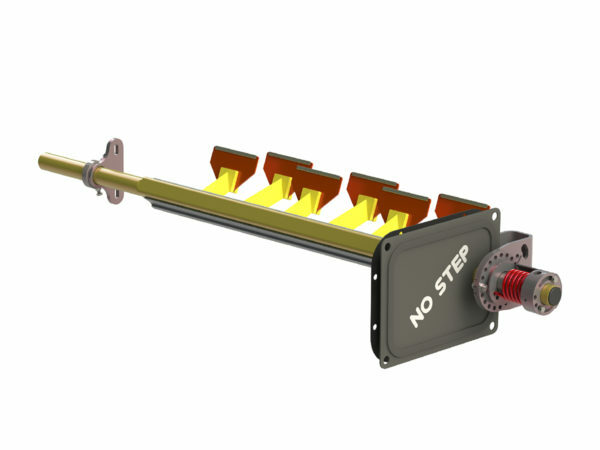 Tensioning is made by using automatically adjustable torsion spring tensioner. Secondary belt cleaner for standard duty applications. 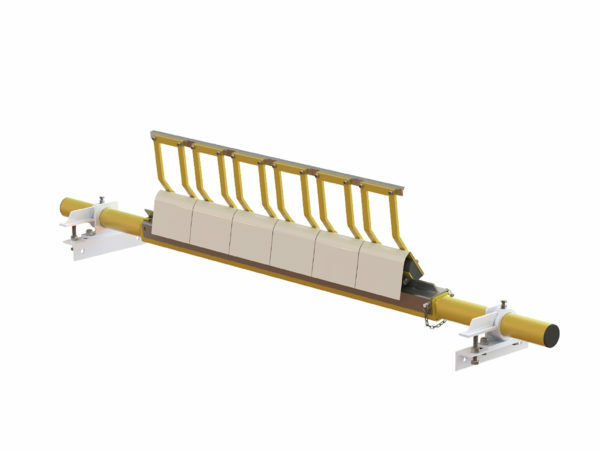 This belt cleaner comes with individual flexible rubber mounting cushions that allow the tips to move independent to each other, giving excellent conformance and alignment to the belt profile, keeping carry back to a minimum. Deflection in the rubber cushions ensures that the cleaning tips are always pre loaded and in tension, which ensures an efficient result with minimal maintenance. Secondary belt cleaner for heavy duty applications. This belt cleaner comes with individual flexible rubber mounting cushions that allow the tips to move independent to each other, giving excellent conformance and alignment to the belt profile, keeping carry back to a minimum. Deflection in the rubber cushions ensures that the cleaning tips are always pre loaded and in tension, which ensures an efficient result with minimal maintenance.